Alva Bryan was born July 4, 1880 in Mt. Calm but grew up in Hubbard where he attended public schools before leaving for Baylor where he earned a bachelor’s degree and played on one of the school’s very first football teams. Bryan then attended UT Law School in Austin before returning to Waco where he firmly established himself in the arena of law as a capable attorney with his law firm, Bryan and Maxwell. For years, he was the head of Baylor’s Board of Trustees as well as the Board of Water Commissioners of Waco. 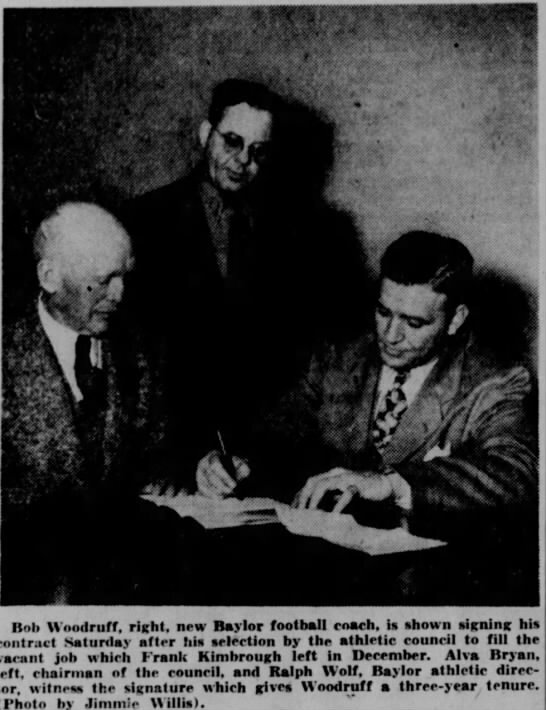 He remained active at Baylor in many ways, was often a program coordinator for alumni events, and even served as the equivalent of athletic director for Baylor during the 1940s. Alva Bryan was a major proponent that made Cameron Park possible after he was inspired by the Progressive Era’s City Beautiful Movement. After returning from a trip to San Antonio, Bryan led the initiative during the mid-20s that sought to fully pave Waco’s streets for the first time. He was always an active member of Columbus Avenue Baptist Church and he was a director for the Liberty National Bank. 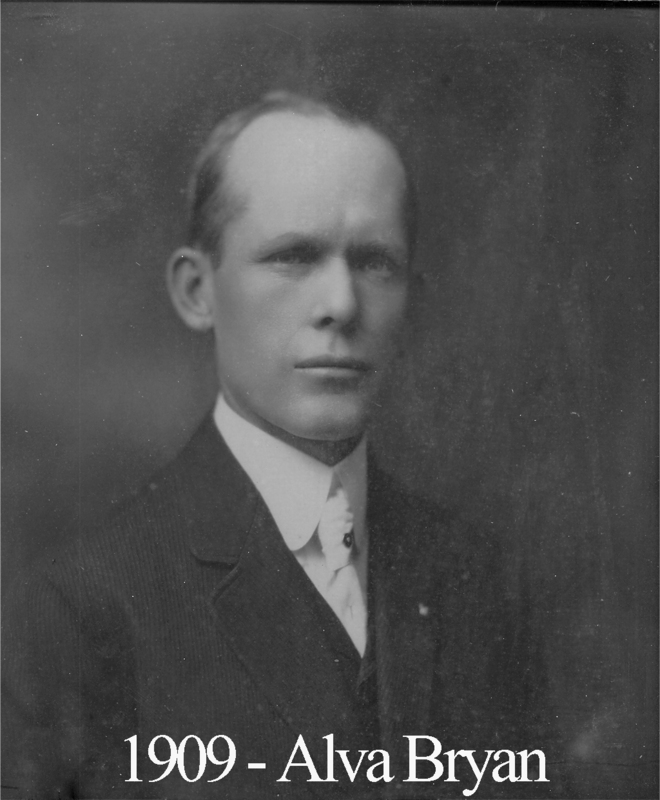 Alva Bryan became a Mason at Hubbard Lodge #530 on June 7, 1902. He affiliated with Waco 92 on January 20, 1905 and ascended to the East in June three years later. By 1911, his talents as a guest speaker already had him in high demand by business leagues, churches, college groups, and generally all sorts of civic associations. This high demand would only grow over the next several decades. There can be no doubt that Bryan’s elocutionary skills were surpassed by none. At a tremendous ceremony where most masonic bodies in the area installed their officers for 1918-19, Alva presented three finely crafted past master jewels to JP Alexander, Judge JN Gallager, and Judge Marshall Surratt. At a banquet honoring Past Master Surratt in 1924, it was Alva Bryan who gave a rousing speech consisting of biographical details about Surratt’s life. Locating a copy of that speech(or any of Bryan’s speeches) would be a most celebrated find for the membership of 92 today. In 1925, we sent a special musical degree team to West, Texas on invite and after the degree, Alva gave a speech on “George Washington, Man and Mason.” When Waco 92 celebrated its 75th anniversary with a well-attended four day Diamond Jubilee, Alva Bryan was the current Grand Orator for masons of Texas and he provided a speech that was very well received. In August of 1927, He was also chosen to introduce the infamous Joseph Fort Newton when the masonic and Episcopalian author came on a special visit to speak in Waco to Texas masons; this event enjoyed a massive attendance by masons from all over and beyond the state. In 1933, he was selected as chairman of the Grand committee charged with planning the centennial celebration of masonry in Texas. Part of that committee’s job was to begin the process of building a new Grand Lodge temple(the one we have today). In 1947, Bryan joined the likes of William Quebe, Tom Connally, Pat Neff, and Lee Lockwood as a member of the special Shrine committee that welcomed President Harry Truman to Waco, granting him honorary membership to the Karem Shrine, which he graciously received. Bryan’s masonic resume is strikingly impressive as he worked on the degree team for Dallas Consistory No. 2, was elected by the Supreme Council as Knight Commander Court of Honor in 1937, and was crowned Inspector General Honorary of the 33rd degree in 1943. Bryan was the first Texan to be elected to the grand council of the Order of Demolay headquartered in Washington, D.C. This Demolay council was composed of just 50 masons across the country and at the time, President Franklin D. Roosevelt was serving as its Grand Matser. Bryan also held the following presiding offices: Past High Priest of Waco’s Royal Arch Chapter No. 45, Past Eminent Commander of Waco Commandery No. 10, Past Potentate of Karem Shrine in 1948, Advisory Councillor for Waco’s Demolay and various positions at Grand Lodge culminating in the ultimate achievement of Grand Master of Texas masons in 1932. It was said that Bryan’s election to the Grand South a few years prior marked the first time in Texas history that a Grand Junior Warden was elected unanimously. It was the ides of March, 1950 when Alva Bryan was in the Liberty Building in downtown Waco. He suddenly fell victim to a heart attack and died. Masons, Baptists, and Texans in general mourned across the state. Baylor University’s flag flew at half-mast. “Regarding what Masonry is: if translated correctly in mind and in heart and in soul that Masonry is that institution comprised of not only men that think the same thoughts together but of men who in coming together constantly and thinking those thoughts together form a lasting friendship. Truest friends today are those that attended the same Masonic lodge in years past and who then formed friendships that have stayed with them until now. If there ever was a time when men should think and think right, it is now; and if there ever was a place in which to think right, it is on the inside of a Masonic lodge. There are three million five hundred thousand Masons thinking the same thoughts and with this large group of thinking people working together, what a great bearing it could have on the outcome of present world conditions. helping hand to all who need it. And the world is full of those who need it now. The whole world is looking to Masonry for leadership.